An autoresponder is vital to any online business. You absolutely MUST have one to be able to have prospects to market your online business to. I run an online income coaching business. 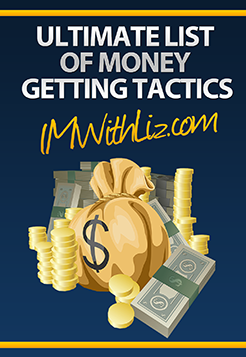 I have setup LizTomey.com to collect leads to market my products and services to. My autoresponder gives me a form that I can put on my website, collect the name and email address of leads, and then it puts them on my “list”. As soon as someone joins my list my autoresponder automatically sends them a welcome message. I then have several other messages “loaded” into my autoresponder that are automatically delivered to the leads that are added to my list. You can have these messages sent out at any time you determine. So if “Bob” joins my list today he will immediately get a welcome message. 24 hours later he will get another one. 48 hours after that he will get another one, and so on and so forth. This is all automatically setup and done by my autoresponder. I can also log in to my autoresponder at anytime, select my list, and email everyone on the list at one time. It adds some serious automation to your marketing efforts! Now I want you to listen very closely because picking an autoresponder service/solution can literally make or break you. There are solutions out there that you can purchase install on your own domain name and be off and running. However that is NOT what you should do. There are a million reasons you don't want to do this but the main reason being your deliverability rate. Imagine sending an email out to 1000 prospects and only 700 or even less of them getting it. You're leaving money on the table! You want to ensure you're using a reputable service that can get your emails delivered. Use one of those for now, ensure your emails actually get delivered, and save yourself lots of headaches and lots of money! Now I've created this post to explain autoresponders to you, tell you which ones to use, AND to answer any questions you have about autoresponders and/or how to use them. If you have questions about using/getting an autoresponder make sure and leave them below. I’ll answer them here and create any tutorials that you may need to learn from. Above I stated that I used both Aweber and GetResponse. I've done an update video that explains why. 🙂 You can see it below.